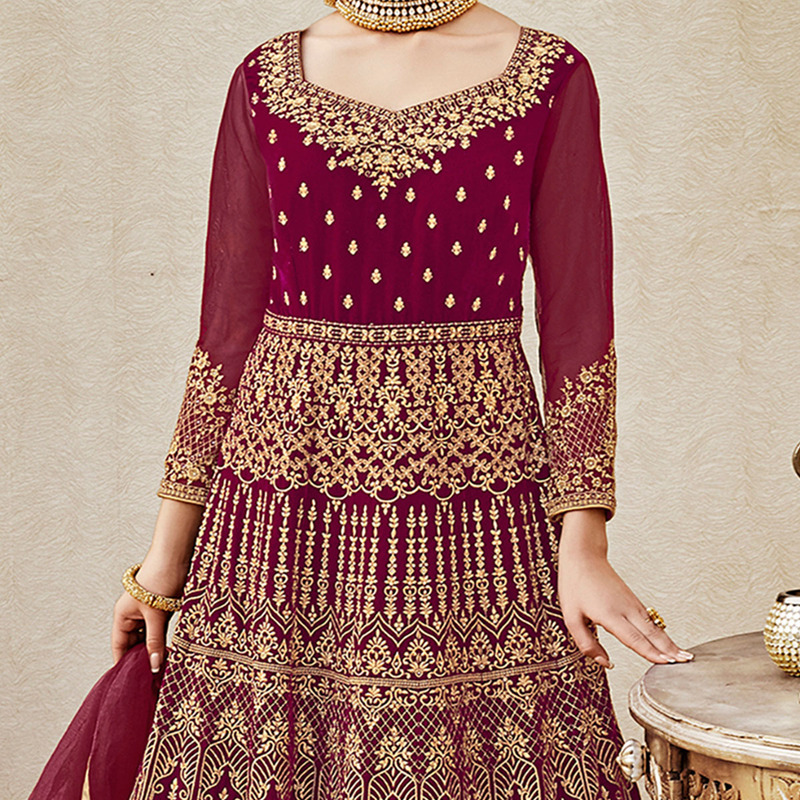 Impress your onlookers with this mesmerising maroon colored floor length anarkali suit decorated with heavy embroidery work done all over the dress. This outfit designed using velvet, net fabric with santoon bottom and net dupatta. Women can buy this ethnic dress to wear for their upcoming wedding functions, receptions, engagement ceremony and family occasions, where you want to be the limelight. Team it with ethnic accessories and heels to make your looks more beautiful. This attractive kurti will surely fetch you compliments for your rich sense of style. Length Chest upto 46 inches and length upto 60 inches.